Approximately 25% of stem cell transplant recipients are infected with rhinovirus within the first year after transplant. The common cold can cause pneumonia and be deadly to patients recovering from stem cell transplants. “This is an important pathogen. It can’t be disregarded as a common cold virus,” explained Dr Michael Boeckh, infectious disease specialist and head of Infectious Disease Sciences Program at Fred Hutchinson Cancer Research Center, and co-author of a study published in the journal Haematologica. The study is the first to directly link pneumonia to the cold causing rhinovirus in bone marrow transplant patients. For this study, the researchers retrospectively analyzed data from 697 transplant patients with rhinovirus at the Seattle Cancer Care Alliance between 1993 and 2015. 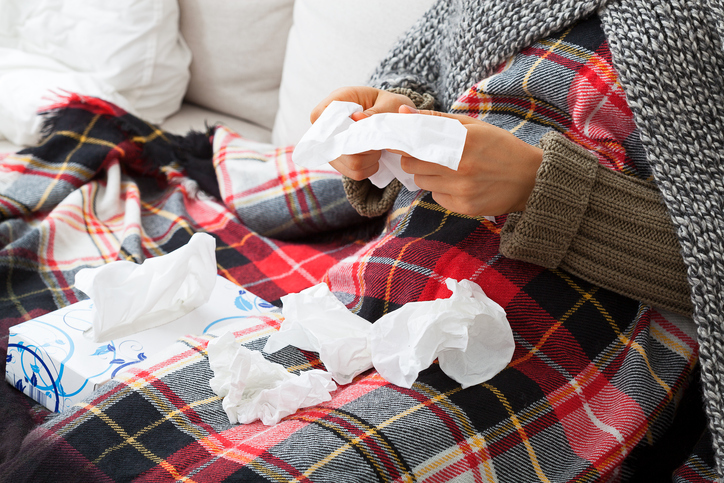 They compared the data from 128 patients with a lower respiratory tract rhinovirus infection to those infected with other viruses known to cause pneumonia, specifically influenza, parainfluenza virus (PIV), and respiratory syncytial virus (RSV). Rhinovirus led to pneumonia less often than other viruses. However, approximately 15% of patients with an upper respiratory tract infection (the common cold) developed pneumonia, or a lower respiratory tract infection. Once pneumonia developed, rhinovirus was just as deadly as the other viruses, even without any additional infections. “This is such a prevalent virus,” said Dr Boeckh. Approximately 25% of patients who underwent stem cell transplant are infected with rhinovirus during the first year after transplant. He explained that while rhinovirus is less common on an individual basis, it is actually the most common cause of pneumonia in transplant patients because it occurs year-round. Sachiko S, Waghmare A, Scott EM, et al. Human rhinovirus detection in the lower respiratory tract of hematopoietic cell transplant recipients: association with mortality [published online February 9, 2017]. Haematologica. doi: 10.3324/haematol.2016.153767.